These cookies are very popular in Italian and Greek bakeries. Made with pure almond paste, they pack so much flavor and texture (think chewy and crunchy at the same time) in a little package. Here is the recipe! I formed them with a small ice cream scoop but you could use a pastry bag with a star tip–if you want to get fancy on me! Note that the regular versions of this cookie, and there are dozens, do not contain the cayenne. But given that I love sweet and salty or sweet and hot, I thought it the perfect addition. Preheat oven to 325F. Line a cookie sheet with parchment. Pulse the almond paste and sugar in the food processor until combined. Pour mixture into the mixer bowl of a stand mixer and add the three egg whites, mixing until combined. Add the vanilla and cayenne if using. Using a small ice cream scoop, scoop out the mixture into balls and place on the parchment lined sheet. You may if you like garnish them with sliced almonds as I did above. Sprinkle with powdered sugar through a sieve and bake for about 20 to 25 minutes, watching them closely at the end of the baking time. When they begin to brown around the edges they are done. Keep in mind that, while they are cooling on the pan, they will continue to stiffen up and bake because of the hot pan. You may keep them on the pan to cool completely and then remove them when they have come to room temperature. Makes about 20-23 cookies. 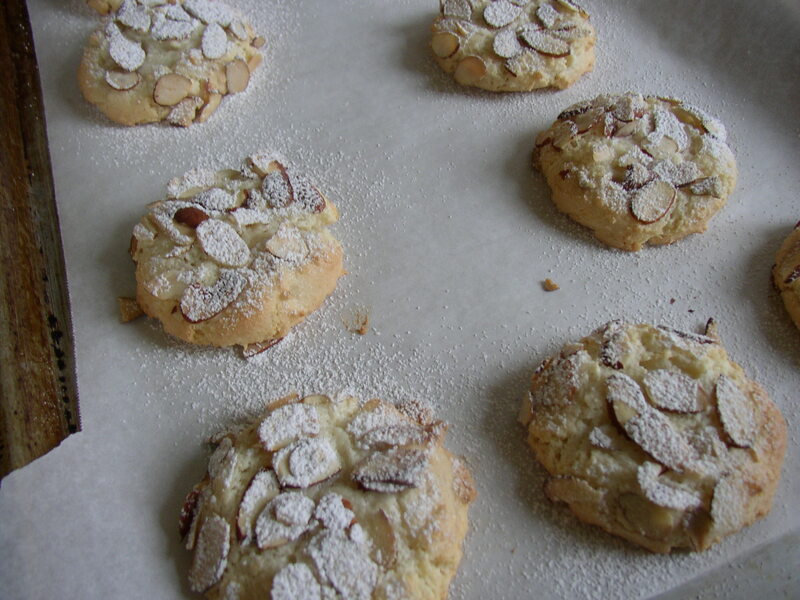 This entry was posted in Recipes and tagged almond, cookies. Bookmark the permalink. These cookies are not only the best almond cookies ever – but one of the best cookies I have ever eaten in my life!!! Everyone was commenting that they are cookies from heaven – will definitely be adding to my recipe file! Thank you Felix! why cant i print this recipe without printing all 4 pages? am i missing the ez print? These cookies were very yummy and so easy to make. I do think they may be a tad sweet though, (the almond paste i bought already was jammed with sugar) for some pallets. The next time I make them I’m going to omit a 1/2 cup of sugar. Also, i only used a 1/4 tsp. of vanilla. I am also curious how the recipe might taste with some butter added? All in all, thanks for a great cookie recipe! Everyone thoroughly enjoyed them!! I LOVED THIS RECIPIE! It was simple, easy and for once they came out like the picture. can they be frozen? if so how long? Just made these tonight for my family and it was unanimous—ABSOLUTELY DELICIOUS! 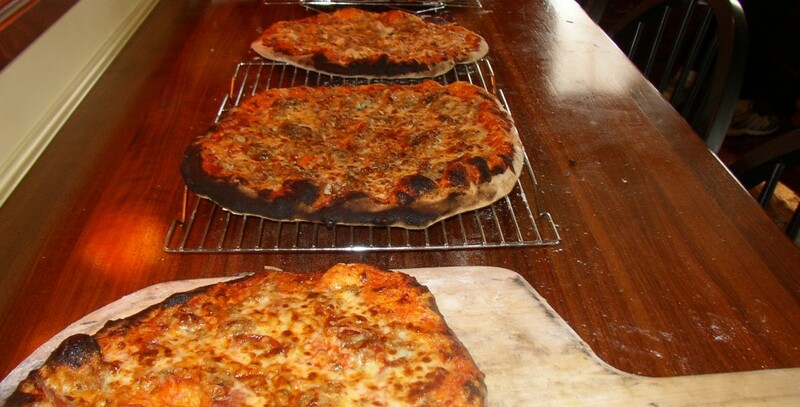 Crisp and toasty on the outside and irresistably soft and chewy on the inside! And so easy to make! Great recipe, Felix! This is definitely a keeper! Almond Cookies ever! � A Lifetime of Culinary Adventures”? Don’t have a stand mixer. Can you make these with a hand held mixer? Awesome!!! I’ve been looking for a long time ! THANK YOU! Would you happen to know the carbohydrate count in each cookie? Thank you! Delicious and easy to make! A little sweet and was wondering if anyone tried making them with a little less sugar? Can these cookies be frozen, if not how long will they keep?